So, the trip is off to a whimper. We arrived at the Jetstar check-in counter, only to find that my unexceptional but above-average seating allocation of 36J and K, a pair of seats by the window, was tossed out with yesterday’s rubbish. And in its place, were 28E and F. Awful middle seats. Both of us one (probably) fat, armrest-hogging passenger away from freedom. “But these seats are better! They are six rows further forward!” argued the check-in agent, with a nonchalant it’s-Sunday-morning-and-I-am-hungover disposition. 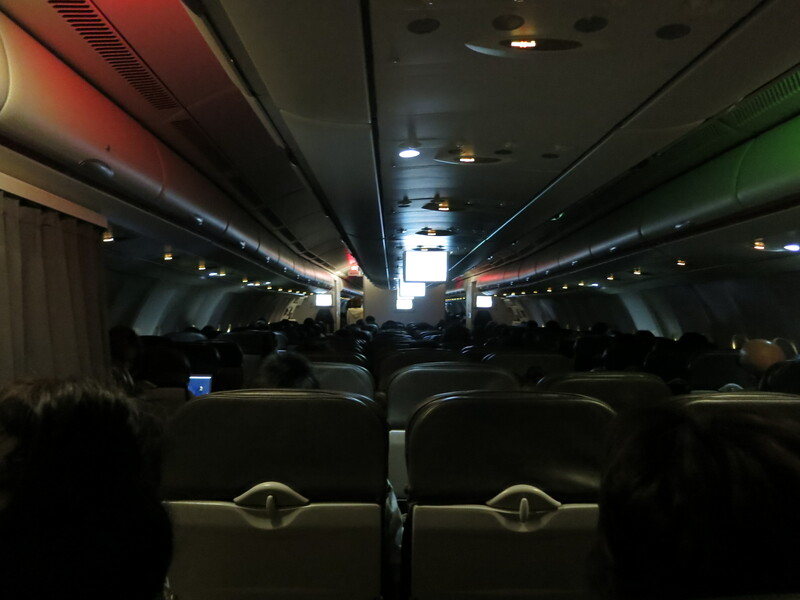 Eventually, we were offered as consolation (no compensation was forthcoming, that’s not the Jetstar way), the back row of the plane. A pair of seats next to the toilets, where it was impossible to look outside and check out what was happening. But at least we were no longer trapped. The flight, with the exception of the catering, passed unremarkably and before we knew it we arrived at Kansai airport.